On Saturday, June 15th, 2013, a celebration took place at Těrlicko at Hotel Fridrich, to celebrate the establishment of Pygmalion Language School and Translation Center. 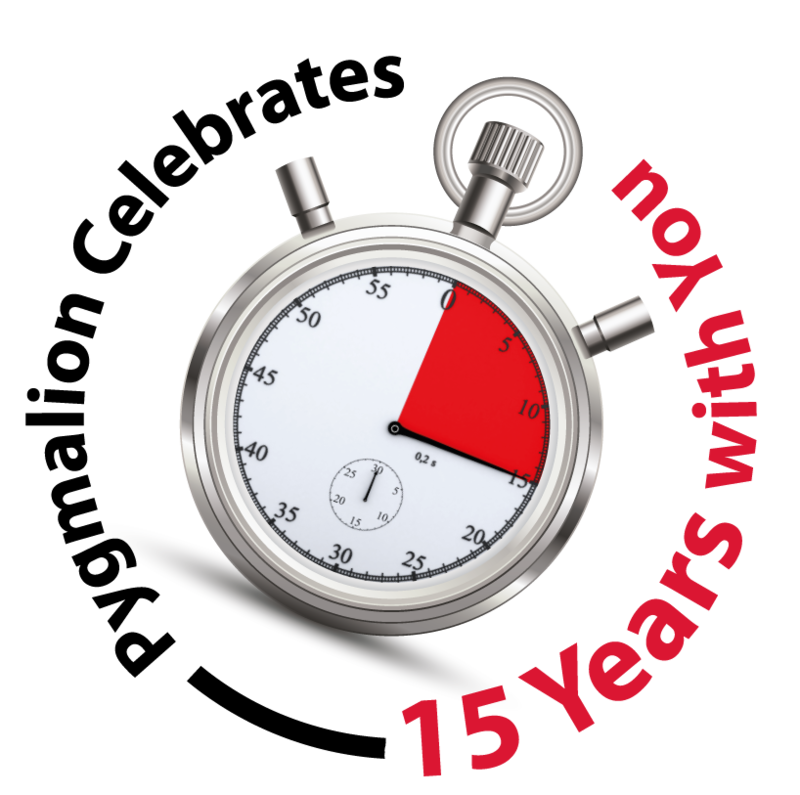 This year marks fifteen years of Pygmalion providing the wider public and company clients with quality services in the field of education, translation and interpretation. A very pleasant and friendly atmosphere was felt amongst the guests during the celebration, which, moreover, was enriched by the impressive live singing performance of Renáta Drössler, accompanied by piano. Representatives of Pygmalion's long-term cooperation companies WALMARK, AGEL, FINCLUB and GENPACT, accepted the invitation to the anniversary celebration. The Mayor of Český Těšín, Mgr. Stanislav Folwarczny, was also an honorable guest, who, in his speech acknowledged the calm and balanced development of Pygmalion and emphasized that today's youth cannot do without the knowledge of foreign languages. He also expressed his delight in the fact that in Český Těšín it is possible to find such a high quality language school. Mgr. Eva Katrušáková in her introductory speech expressed gratitude to all lecturers, translators, interpreters and permanent employees of Pygmalion for their good and hard work throughout the years. Methodology and effectiveness of lessons are always part of Pygmalion's priorities. Currently, two study directors and numerous academic methodologists work at the Language School. The number of students who have passed through Pygmalion's doors since its establishment is also very interesting and impressive. This number is almost 11,000 students who have decided to learn a foreign language on the grounds of the Pygmalion school. We would also like to mention that on May 16th, 2013, an audit took place at Pygmalion from the Association of Certified Language Schools (ACERT). From the auditor's report, it is clear that the Pygmalion Language School met the requirements in all audited areas. A strong preference is then to fulfill the criteria for "Examples of Good Experience", which includes the professional development of lecturers implemented with the aid of ESF grants and the teaching of children courses. The school pays careful attention to the maintenance of top quality and the continuous improvement of the services provided. Throughout the years, a translation division has been built next to the prestigious language school, which today forms an essential part of Pygmalion. Currently, it has over 600 cooperating translators and interpreters not only of Polish, English, German, Korean and Japanese, and not only from Europe; it translates and interprets into all world languages. Over the past 15 years, the translation division has expanded its clients' portfolio multi-fold and these clients usually remain loyal to Pygmalion, which in itself is proof of the fact that Pygmalion takes care of its customers. The greatest numbers of clients who bring work to the translation center are from the Czech Republic and from Poland; however, at a time of multi-national ownership relations, it is not exceptional when the same customer orders translations or interpretations of Polish, English or Korean directly from several branches worldwide, which are located across continents. Through modern technology it is possible to provide an error-free translation even to the other side of the world within a few hours regardless of the time zone or distance. It is possible to arrange interpretation services of English, Polish, German or Japanese by means of telephone or Skype in Delhi the same as in Prague, without the need to arrange a time consuming and costly trip to visit the client. Interpreting by means of a Skype conference, whose participants are located on different continents, is no exception to our interpreters. We wish Pygmalion many satisfied students and clients into the future. We only use services of the best translators, interpreters and proofreaders. We adhere to the “four-eye-principle” – each translated text is checked by a native speaker for particular language. The result is a high-quality translation without stylistic mistakes and shifted meaning. We can provide you with express translations within 24 or 48 hours! You will definitely appreciate the promptness, availability and flexibility of our interpreting services. We will send you our quotation within 30 minutes from receiving your inquiry. More than 500 qualified translators, interpreters and proofreaders in various language combinations and fields have been included in our database during the 11 years of our existence. The experience of our external collaborators has been appreciated by many important companies as well as individuals. Do not hesitate and check it yourselves!